A car subwoofer is solely the ultimate solution to your problem. That’s why you must know how to install car subwoofer. In this article, I want to let you know in brief discussion about it. Why should you hire a professional to fit a subwoofer into your car? However, it’s not a big issue at all. A simple procedure you need to follow just as a guideline. Following are the key points with which you can do this work by yourself. As this task is somehow related to electricity, you should not take further risk. Part the battery from your car to avoid any kind of short circuit issues. This is the best way to have a safety. Before you start the installation process, gather important tools those are necessary to do this job. First of all, you need a quality subwoofer box. Then you need a speaker including an amplifier as well. In addition, you also need RCA cables, fuse, and some quality wires with wire gauge for a different purpose. At this point, you must have a speaker and amplifier matching to the RMS power. For an example, when the subwoofer RMS is 350w, then 350 w amplifier choosing will be a great decision for you. Consequently, a subwoofers function on the RMS power. Quality sound comes with an amplifier and you can’t ignore this fact as well. Furthermore, choose an enclosure according to your subwoofer size. If it doesn’t fit properly, nothing can be done. Evidently, this is the most crucial job you need to do carefully. I am beckoning you to have quality wires that possess good isolation system. However, make sure that the fuse and the battery maintain a safe distance. Remember, if the wire is good enough, it will help produce better sound. In a car, you should drive the wire through the interior part precisely. When you start wiring the stereo, you need to have 2 RCA point including the cable in the configuration. Be sure it has RCS connection as well. Then Take an 18-20 gauge wire and create a strong connection between the amp and the stereo system. Then place the subwoofer on the box carefully. Make sure you are managing positive and negative connections correctly. When all connections and wiring are in the right position, your subwoofer is ready. Conclusion: Enjoy quality music with the well-maintained stereo system. If you know in-details about how to install car subwoofer, you won’t need to depend on anyone to meet up your demands. I hope you will get satisfaction with this article. A car subwoofer is an integral part to reform low frequencies with a great sound system in music. It highly develops your listening experience. You might get confused before choosing it for a special purchase. To make it simply, you need a basic guideline for it. 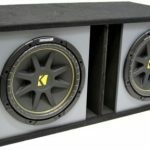 Here I want to share some tips to help you buy car subwoofers. Have a look at it. First of all, you need to primarily decide which subwoofer you need as there is a variety of ways for it. Of course, you won’t compromise with the key factors such as your musical favor, your affordability to buy as well as your car space too. Once, you are completely done with it, you can follow the tips I am going to mention now. This is a crucial factor you can’t overlook to consider. The music quality is ideally determined by it. How will the sound be, loud or low? Strong or poor? These factors mostly depend on the right size and dimension of it. If you are expecting an ideal unit, take care of the car interior space too. Better if you know about the actual measurements before buying subs. Another important consideration that fuels the possibility to have a suitable unit is power. Ample of power is a much-needed issue with no doubt. Keep your constant attention to RMS power. It determines realistic measure and successfully manages power on output. Again, you must keep variance with the amp’s and sub’s power carefully. The sensitivity of a car subwoofer lets you know about the volume you are going to have from a speaker. Higher sensitivity models need a few amounts of power to reveal the similar amount of model. If you want to listen to music with low-frequency sound, you must look for high-frequency speaker unit. Duel voice calls have various advantages as it has multiple options such as parallel, series and independent wiring to us. If you want to have flexibility, the best option is to use it. In addition, you will discover two positive and negative connections in duel system. On the other hand, single voice calls don’t have facilities like duel ones. 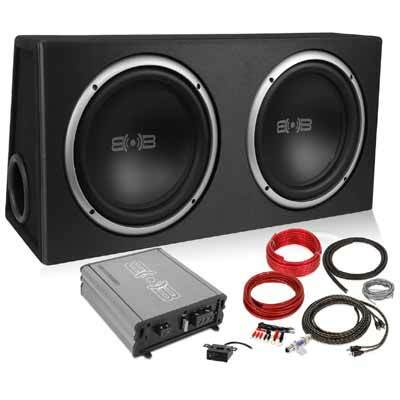 Impedance is one of the most important issues to look for before buying car subwoofer. Generally, you will find 4-ohm car speakers in most of the audio system of the cars. Actually, it leaves a great impact on the stereo sound system and its quality. There are different kinds of configuration of a subwoofer. Conclusion: Subwoofers mainly plays a vital role in handling low-frequency sounds with great quality. That’s why choosing the right one becomes a most necessary issue as you will have to spend your hard-earned money with enormous labor. 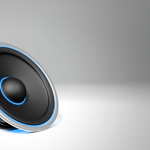 In this article, I try to put some tips to help you buy car subwoofers. I sincerely hope that it will help you make a wise decision.